Mangalore is a coastal city around 320km west of Bangalore in Karnataka state in southern India. 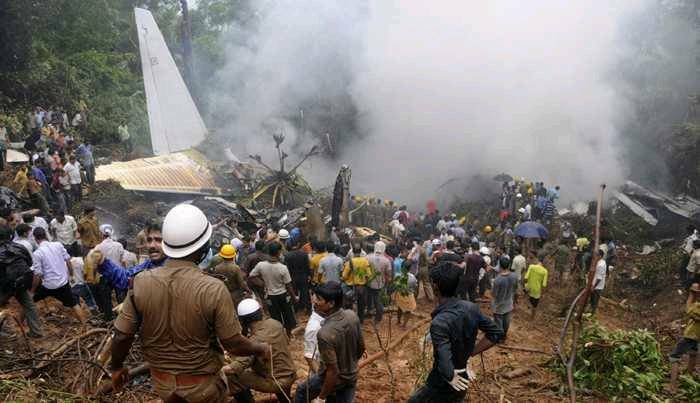 Mangalore: The Director General of Civil Aviation (DGCA) on Saturday evening said rescue operations have been halted and the bodies of all the 158 people killed the Air India Express Flight crash have been recovered. 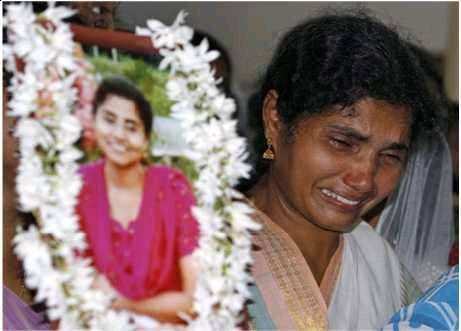 Sources said the black box or the Flight Data Recorder and the Cockpit Voice Recorder could not be located from the massive wreckage of the ill-fated Boeing 737-800 aircraft of Air India Express. The operations, suspended late tonight due darkness, would be resumed tomorrow, they said. 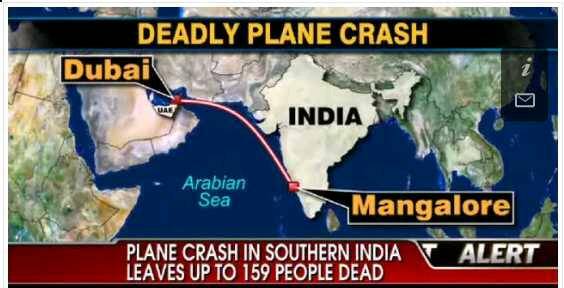 Meanwhile, a probe team from Mumbai will arrive in Mangalore today to inspect the crash site and determine the cause of the mishap. 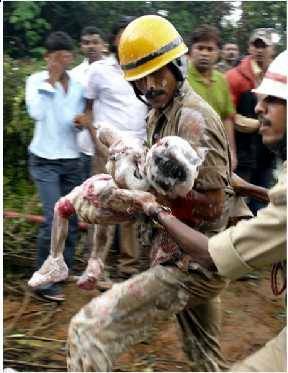 Mumbai Helpline Numbers: 022 2279 6161. 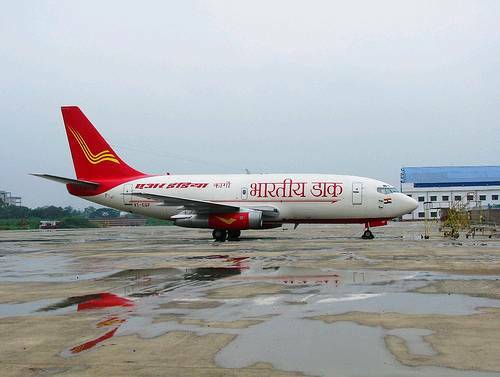 Air India Express regrets to announce that a B737-800 aircraft operating as flight IX-812 from Dubai to Mangalore was involved in an accident early this morning, May 22, 2010. The accident occurred after the aircraft landed at Mangalore airport and overshot the runway. 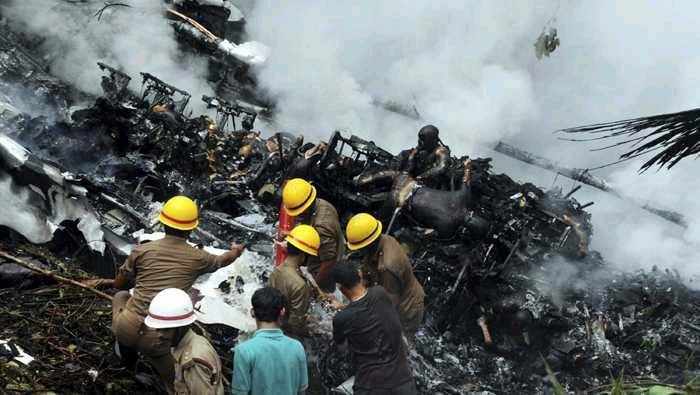 Air India is currently confirming the identities of the casualties. Air India is deploying all its resources for assisting passengers and their families. Air India Express Dubai Airport Tel. Nos. 00971-4-2165828/29. The Cockpit Voice Recorder and the Flight Data Recorder recovered from the crash site in Mangalore is expected to provide vital clues about the cause of the Air India plane crash which left 158 people dead. On Saturday, Mayan Kutty, was heralded as the chosen one. A man who walked away from the fiery Air India wreckage which claimed 158 lives with barely a scratch on him. Air crashes: Tired pilots, crew a recipe for disaster?